Beige straight cut style suit in georgette fabric is gracefully decorated with pink lace border, floral embroidery work at neckline, lower part and sleeves. 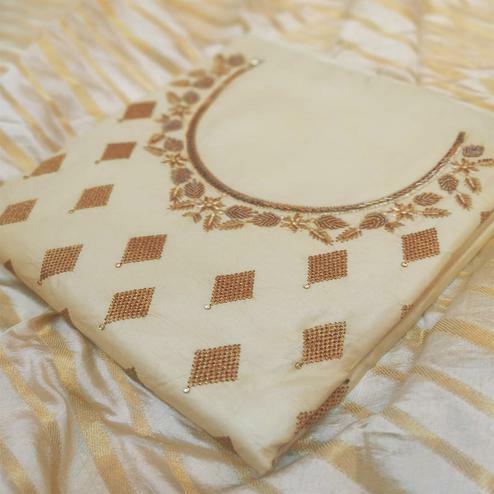 Matching color chiffon dupatta and cream santoon bottom with schiffli work comes along with this semi stitched suit. It's a perfect dress to wear for festivals, functions and occasions. Grab this outfit now before it's gone out of stock.